DETROIT -- Volkswagen Group could decide Wednesday where to build a North American factory for its premium Audi brand. VW's supervisory board, which will make the call, is scheduled to meet that day, and the topic is on the agenda, a person familiar with the situation said. Audi officials have said repeatedly that a decision on North American production will be made by this summer. Company officials denied reports this month that VW had decided to build in Mexico. 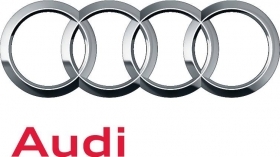 An Audi spokesman said the supervisory board had yet to make a decision. The German magazine Der Spiegel reported that Audi had won backing from parent Volkswagen to build the factory in Mexico for production of the Q5 SUV beginning in 2015. The magazine, citing no sources, said the supervisory board intends to ratify the plans at the Wednesday meeting. Company officials have publicly discussed the pros and cons of building the factory in two locations: Mexico and the United States, where it opened a plant last year in Chattanooga to build the VW Passat.